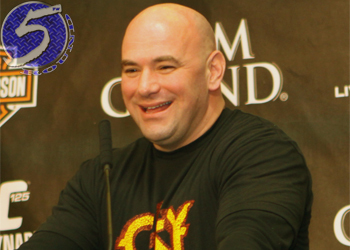 UFC president Dana White announced Saturday the world’s premier mixed martial arts promotion has acquired Strikeforce. Instead of operating as one behemoth MMA organization, White stated the two companies will continue to operate as completely separate entities. “Strikeforce is going to continue to run business as usual,” White told MMAFighting. “There’s contracts in place. Those guys are on Showtime. Strikeforce pulls good ratings for Showtime. I think Showtime is happy with them. Therefore, fans won’t be seeing any athletes on Strikeforce’s current roster inside of an Octagon anytime soon. Once present contracts expire, UFC and Strikeforce fighters are free to negotiate new deals with whichever promotion courts them. Similarly to how the current MMA landscape operates, except Zuffa, LLC, the parent company of the UFC and now Strikeforce, formally controls EVERYTHING. Strikeforce CEO Scott Coker was offered an extension and will remain as the company’s head honcho. Showtime will continue to broadcast Strikeforce events … for now. No contracted fighters from Strikeforce will transfer to the UFC, and vice versa … for now. The UFC officially ruling the MMA world = Effective IMMEDIATELY.